I hope everyone has enjoyed their summer and to me it’s not over yet! These are some of my current skincare obsessions thanks to the Goop store in Sag Harbor, NY. 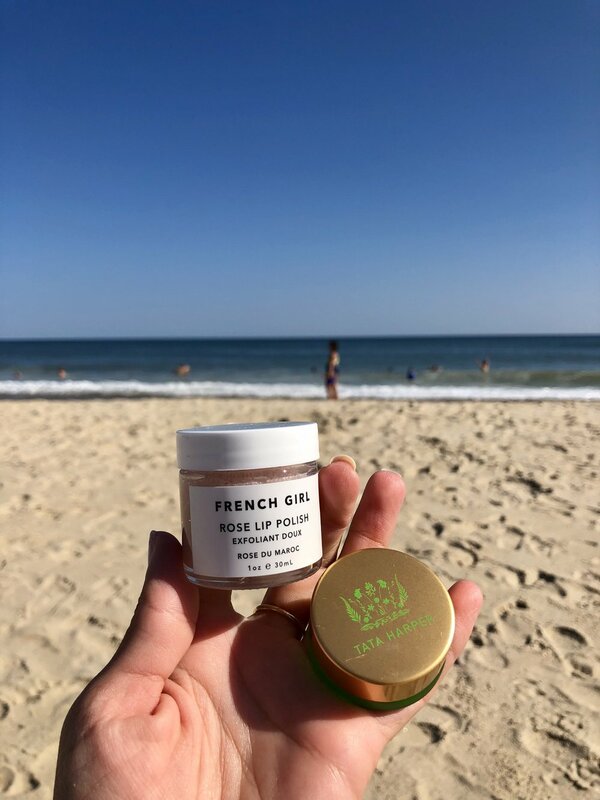 I just got back from the Hamptons and that pop up store gave me a chance to get some truly wonderful products! First off is my never fails fave: Moroccan oil Argan oil for hair. I love putting this into beach hair to add moisture and contain frizz. My hair is so healthy and happy from using the Moroccan Oil shampoo conditioner and styling cream too! I love the way the Tata Harper lip and cheek balm feel, and her products are all natural and organic! In the sun this balm and sunscreen are all you need and I love the colors it comes in. Finally this lapis face oil/serum by Herbivore is to die for if you have combination skin like me. It leaves skin hydrated and balanced and not excessively oily. Let’s carry out that summer glow into fall with healthy skin and hair!